TEL AVIV – The UN agency for Palestinian “refugees” evacuated most of its international senior officials from the Gaza Strip Monday after they received death threats from local employees of the agency following the Trump administration’s decision to defund it. Threats of violence and death by UNRWA employees accompanied an announcement of budget cuts and layoffs. Some 113 jobs and 584 staff positions are being converted to part-time. Laid-off workers warned that their families will be at risk. A protest was held outside a hotel in the coastal enclave in which agency officials were meeting. They were subsequently spirited out of Gaza via the Erez Crossing, which was supposed to be closed for the Jewish holiday of Sukkot. According to the Times of Israel, out of 19 foreign staffers only six remained. The head and deputy head of UNRWA remained in Gaza, but they too may be evacuated in the future, Ynet reported. “The lack of effective security and safety risk is impacting vital humanitarian services to more than 1.3 million refugees in Gaza,” it said. The U.S., UNRWA’s largest single donor, announced that it would no longer be donating its usual sum of around $350 million a year. 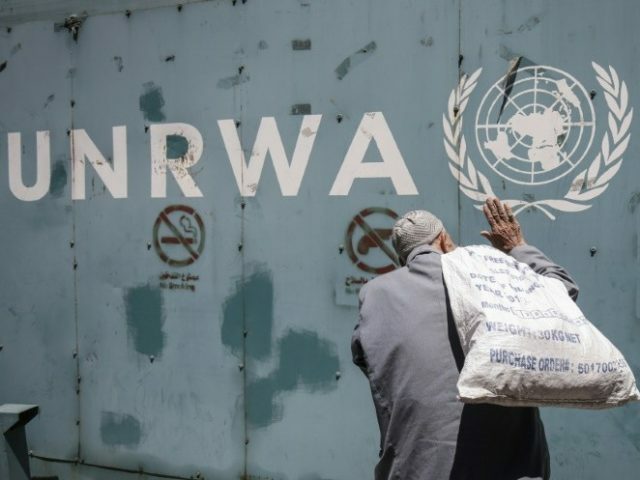 UNRWA received pledges of $118 million from other countries last week trying to make up the shortfall. But the deficit has led to the elimination of 113 jobs, and 584 staff positions were converted to part-time. UNWRA’s Gaza employees went on strike Monday to protest pay cuts and dismissals. Unemployment in Gaza stands at 53% and 80% of the population receives UNRWA aid. Palestinian refugees are the only “refugees” in the world that pass that status on to their descendants in perpetuity. One of the core issues in the conflict is the Palestinian demand that those so-called refugees and their descendants — who now number around 5 million — be allowed to return to Israel. Israel has categorically rejected this demand, deeming it a bid to destroy the Jewish state by demographics.